Areas where ticks and Lyme disease have been confirmed over a number of years of active field surveillance are called endemic areas. This includes many provincial parks and regions in Southern, Eastern, and North Western Ontario, Southern Manitoba, Southern British Columbia, Southern New Brunswick, Southern Nova Scotia, and Southern Quebec. Basically, every corner of our great nation! Bob and Doug McKenzie would be proud. As discussed ad nauseam in our previous blog posts, the reason that ticks are as prevalent and as dangerous as they are in this country is because of their ability to travel undetected on their hosts for days at a time. With fall being an active season for ticks, now is the time to protect your property from ticks on the quest, especially if you live near an endemic area. It’s important to learn more about tick hot spots so you can take extra precautions to avoid being infected. Remember, just because you don’t live in an area known for Lyme disease or ticks, doesn’t mean that you can’t encounter an infected tick. The separation between tick risk zones and tick safe zones on and around your property can be a single step. 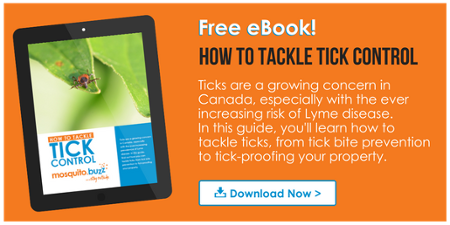 There are dozens of tick species found across Canada, but two of the most common are American Dog Ticks and Blacklegged Ticks. These are the two you will often find in high risk areas. American Dog Ticks are common around the Rocky Mountains, as well as Saskatchewan and the Atlantic provinces. 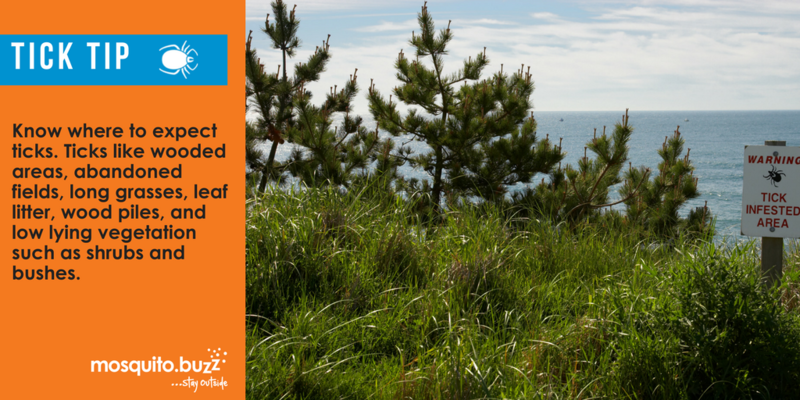 Blacklegged Ticks are also known as Deer Ticks due to their affection for the white-tailed deer, and are particularly common in Ontario, Manitoba, and on the Pacific coast. Blacklegged/Deer Ticks: Blacklegged ticks live in wooded, brushy areas that provide food and cover for white-footed mice, deer and other mammals. This habitat also provides the humidity ticks need to survive. Exposure to ticks may be greatest in the woods (especially along trails) and the fringe area between the woods and border. Use insect repellent containing DEET, picaridin, or permetherin. Added bonus: you'll repel mosquitoes, too! Tuck your pants into your socks. You'll look a bit ridiculous, but it works! So you've been bitten. Now what? If you or your pet are bitten by a tick in an endemic area, it's important not to panic. 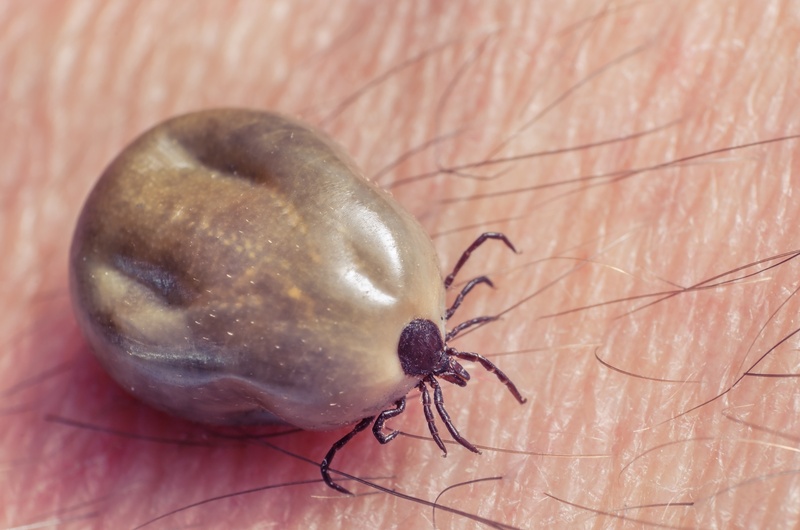 If followed properly, these next steps will help to lower the risk of further damage, and help to get the tick away from you or your pet as soon as possible. If parts of the tick's mouth break off and remain in your skin,remove them with tweezers. Visit your health care provider if you cannot remove parts of the tick's mouth in your skin or the tick itself. 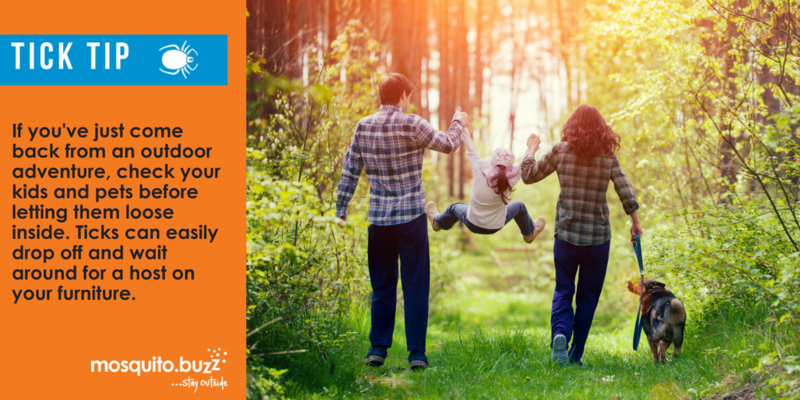 Follow us on Facebook or subscribe to our blog to keep up to date with tick prevention tips and news, as well as tips on managing mosquitoes.